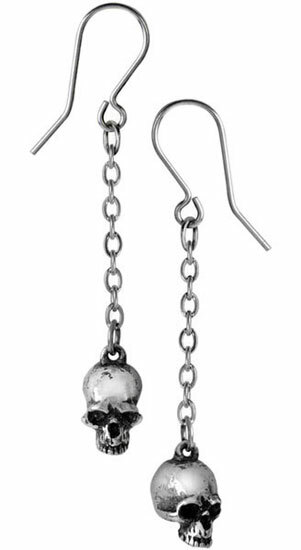 Two skull heads hanging from single chains attached to each ear. They follow you as you move in an endless dance of death. 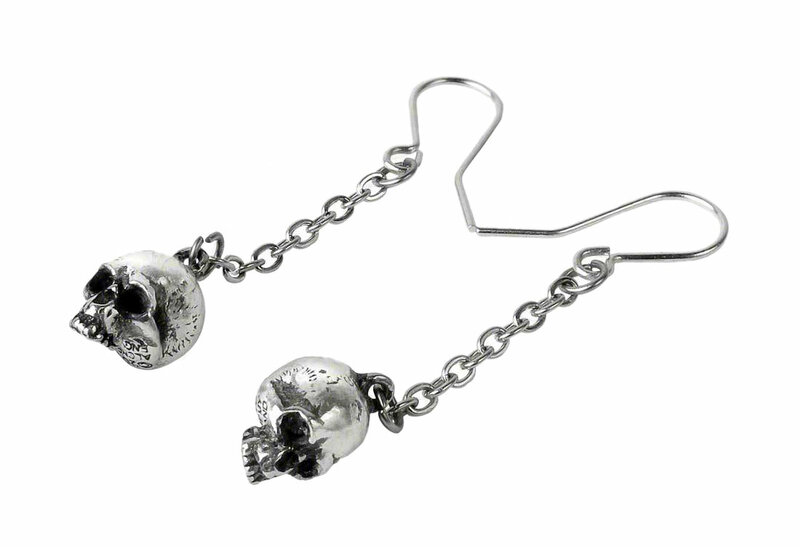 They are made of fine English polished pewter with surgical steel wires. They measure approximately 1.42 inches wide, 0.47 inches high and 0.27 inches deep. 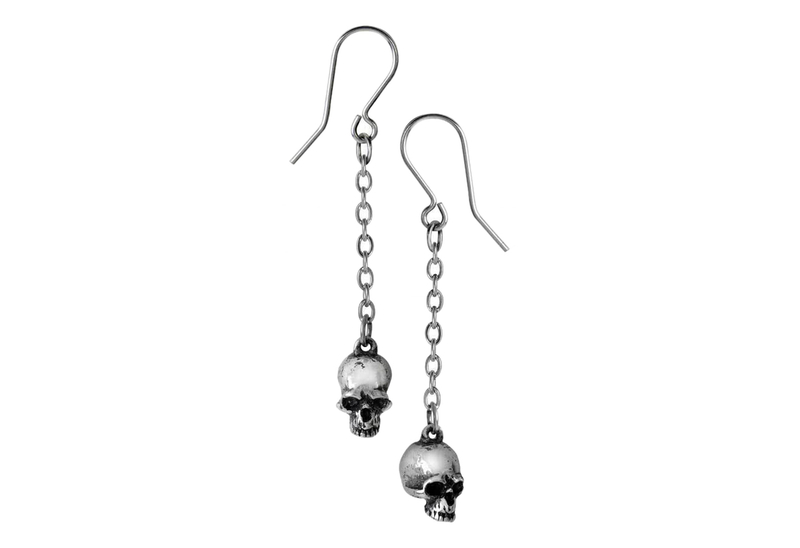 Designed by Gothic Alchemy.